Doctor Who fans worldwide have been mourning the loss of the 10th Doctor since the New Year. Let's be honest, David Tennant was brilliant! The show won't be the same without him...but I'm trying to be optimistic about the upcoming season of the Doctor. Doctor Who being a British show, the UK fans will obviously get to see the premiere before us yanks do. 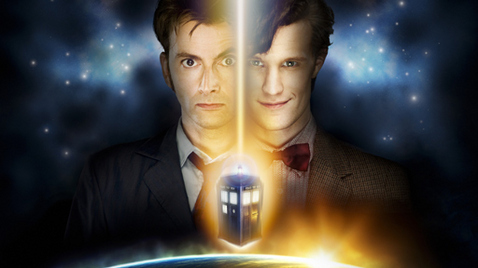 And although there will be plenty of downloadable torrents of the new season available online for the impatient American fans, C2E2 (Chicago Comic & Entertainment Expo) will be hosting a premiere screening of the first two episodes of Doctor Who. Doctor Who fans attending the comic and entertainment expo will have an opportunity to view the episodes a day before it debuts on BBC America. The following info is from the C2E2 website. Chicago fans a head start! April 16. Fans attending will be the first to see Episode 2 in the U.S.
adventures of The Doctor and Amy Pond. 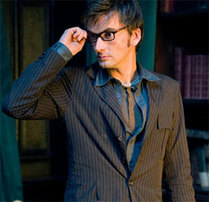 For more information on Doctor Who, visit www.bbcamerica.com/doctorwho!